Rouhani -- Meaningful Reforms or Political Games? The global community recently celebrated the release of Iranian human rights lawyer Nasrin Sotoudeh and what appears to be dozens of others, among them political prisoners. However, we should reserve judgment regarding the future of human rights under the new administration in Iran until all those who remain unjustly imprisoned are freed and Iranians achieve the freedoms they have been demanding for several decades. Sotoudeh, who had been detained in Iran since September 2010, was originally sentenced to 11 years in jail for "spreading propaganda against the system" and "acting against national security." In reality, she is a lawyer who has defended many high-profile human rights campaigners, political activists, and juvenile offenders on death row. Throughout her career she publicly, but peacefully, challenged the Iranian authorities about the shortcomings of the rule of law and due process in the proceedings against her clients. While incarcerated, Sotoudeh spent long periods of time in solitary confinement and went on hunger strikes to protest being denied contact with her family, as well as the travel ban imposed on her 13-year-old daughter. Amnesty International deemed her a prisoner of conscience because she was arrested and sentenced simply for peacefully exercising her basic human rights. We have tracked her case through our Urgent Action Network, a global alert system that notifies Amnesty members when someone's human rights are being violated and spurs action on their behalf. Since Sotoudeh's arrest, three Amnesty USA local groups have worked diligently on her case. She was the subject of our Nowruz action for three years, which generated hundreds of cards sent to her husband to show our support. We have worked alongside activists around the world to urge the Iranian authorities to grant her unconditional release. I am particularly grateful for these collective efforts. As an Iranian woman and activist, Sotoudeh's plight resonated with me on a deeply personal level. I was born in Tehran at the height of Iran's 1979 Islamic Revolution -- a time when women's rights were deteriorating at a rampant rate. My parents did not want to raise their daughter in a social, legal and political climate that was growing increasingly oppressive toward women and girls, so they emigrated to the United Kingdom when I was an infant. Still, from an early age, the struggle of the Iranian people was permanently etched in my social consciousness. The people of Iran have had to endure repressive laws that have stifled their freedom of speech and religion for too long. I recently called upon then President-Elect Hassan Rouhani to put his flowery, reformist campaign rhetoric and promises of a freer, more open society into action, and to start his term by freeing Sotoudeh and all prisoners of conscience in Iran. While I welcome the Iranian authorities' decision to release Sotoudeh and others unjustly imprisoned, I can't help but be skeptical of the timing. I hope that this is just the beginning of the much needed reforms that we will see from his administration and not a public relations sham designed to use people like Sotoudeh for political purposes. The Iranian government must now prove their intentions by releasing all prisoners of conscience, including student activist Majid Tavakoli, and the seven Ba'hai leaders who have been sentenced to 20 years for simply exercising their freedom of religion. In my six years with Amnesty, I have witnessed the justice we can bring through tireless campaigning, collective will and determination. Together, we have seen the release of journalists Roxana Saberi and Maziar Bahari, doctors Arash and Kamiar Alaei, filmmaker Behrouz Ghobadi and many others. Although each human rights victory energizes us to continue our work, there remains a deep sorrow for those prisoners still wrongfully languishing in jail. While Rouhani offered some positive indications prior to addressing the U.N. General Assembly in New York this week, it remains to be seen if real systemic changes will be actualized. The Iranian President must heed Iranian citizens' call for meaningful reforms and not only deflect such demands by continued accusations against the West. In the shadow of the 2009 protests, Iranians are waiting to see if Rouhani will indeed chart a new course of governance, one that is built upon the fundamental right of citizens to enjoy the peaceful freedom of expression, even if it is critical of the government. Despite the fact that Rouhani has been a long-time insider in a government that has committed countless human rights violations, and that he himself called for the execution of peaceful activists in 1999, many people inside and outside Iran are optimistic that he might indeed favor greater respect for the rights of the Iranian people. Real change takes time, continued will and much political courage, however, there are immediate steps that can and should be taken by the administration to prove they are on the right course. All prisoners of conscience should be immediately and unconditionally released. Freeing Sotoudeh and others is a welcome gesture to distance the Iranian government from a brutal history of repression, but Iranians will rightly continue to demand further reforms from within. Those of us outside Iran will be watching closely, and when alerted by Amnesty's Urgent Action Network, we will act to support these human rights defenders as they risk their lives to demand a just future. 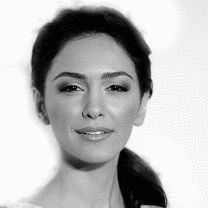 Actress, activist, member of the Board of Directors at the International Campaign for Human Rights in Iran.